Like most billers, utilities typically struggle to get customers to sign up for eBilling and turn off paper. By contrast, more than 30% of all of COTU’s residential customers are now paperless. Its success can be attributed to Striata’s unique, one click eConsent process to turn off the paper bill, as well as continuous collaboration between a highly engaged COTU customer service and marketing team, along with Striata adoption specialists. “Striata’s EBPP solution enables COTU to deliver encrypted, navigable PDF bills that look exactly like the paper bill, directly to the customer’s email inbox and mobile device. This offers a significantly better customer experience than sending an email notification with a link back to a website. By delivering the bill directly into COTU customers’ inboxes, Striata is assisting COTU remove the biggest adoption hurdle – customer enrollment,” says Garin Toren, Striata COO. Customers give their consent to go paperless with a single click from within an introductory email, which completely eliminates the hassle of having to register online and remember yet another username & password. COTU initially selected Striata’s ‘push’ email billing solution to increase e-payment presence, reduce paper, postage and manual processing, as well as meet a mandate to ‘Go Green’ at every opportunity. The growing number of customers that are connecting to the internet from mobile devices makes the ability to view bills on smartphones and tablets a critical key to successful eBilling adoption. “We wanted a solution that would outperform the low adoption rates associated with the traditional website ‘pull’ option. Striata’s EBPP solution is an ideal fit. It has been a great success, both from an operational and a customer satisfaction point of view. Our customers love SmartBills and we are able to invest more in our community by driving significant cost savings and environmental impact reduction,” says Matt Matherne, Utility Accounts Administrator for the City of Tallahassee Utilities. “COTU’s impressive 30% paperless adoption rate proves that combining the right strategy, an optimal customer experience and a committed team of executives, are the keys to eBilling success. 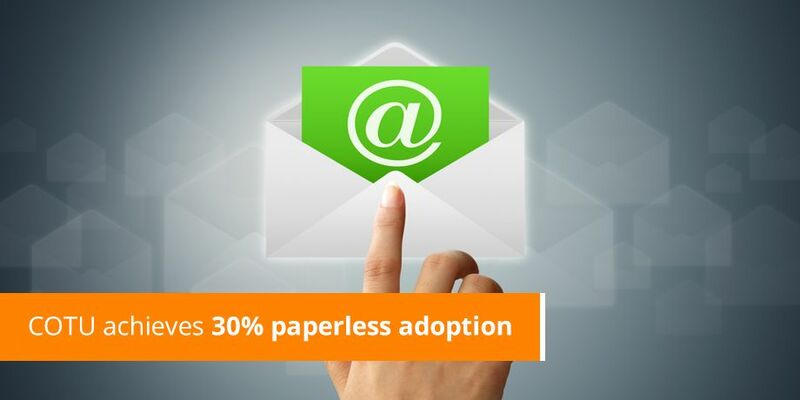 Eliminating the enrolment barrier, delivering bills directly into customer inboxes and mobile devices, and enabling one click payment are clearly significant drivers of paperless adoption. As COTU continues to drive paper suppression at the current rate, they will continue to reap the benefits: greater cost savings; reduced DSO; notable environmental impact results and an enhanced customer experience. We look forward to continuing to assist and support them every step of the way,” concludes Toren.